Should Mumtaz Qadri Be Hanged? 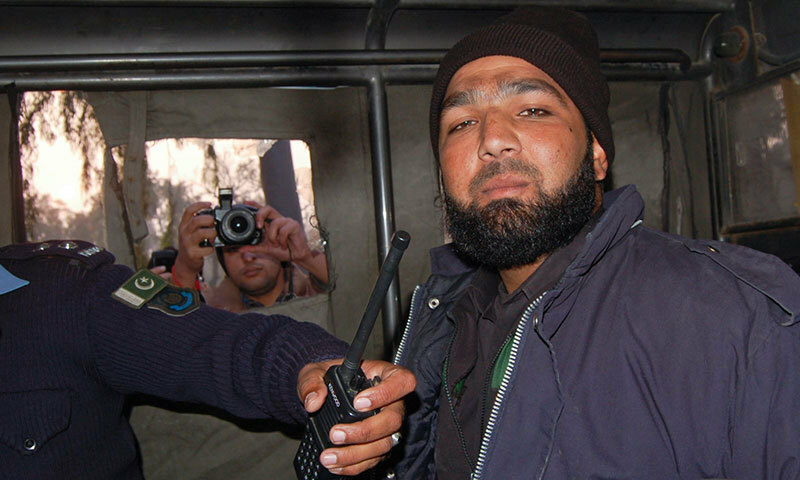 Mumtaz Qadri, a devil or a saintly cop, a religious fanatic or an insane man with a gun, a hero or a villain or even a pure case of insanity. These are some of the questions that jump into your mind when you hear the name of this crazy man who just four years ago shook the nation by his brutal murder of Salman Taseer. Fact 1: The first oath that Qadri violated was the sacred oath of Islam by murdering a man who himself had not commited any blasphemy. Though the deceased governor might have given a few controversial statements but Qadri was neither a mufti nor a qazi to decide whether Salman Taseer had commited blasphemy or not. Fact 2: The second oath is the oath of duty that Qadri had taken with his organization. Not only he violated that oath but today he openly flaunts it by trying to become a hero in the eyes of the people. Fact 3: Nobody should be allowed to take law into their own hands is a principle that Islamic law strictly adheres to and Mumtaz Qadri is no exception. By all standards of Sharia Qadri is punishable. If people are allowed to take law into their own hands than it won’t be long before this state ceases to be one. After reading these facts I leave it to you, the reader to decide whether Mumtaz Qadri should be hanged or not. If truth be told Pakistan has simply become too dangerous a land for conclusions to be made.